Do you want to change display name of your Facebook profile? Few users may want to change name shown on their Facebook profile after sometime. This can be easily done from account settings. 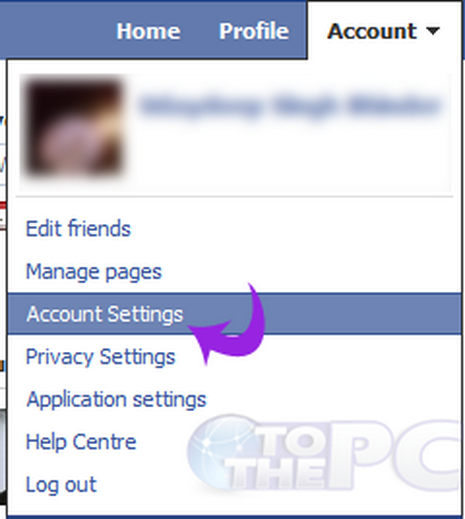 You can edit and change current display name on Facebook accout to any desired name using following procedure. 2. Go to Account > Account setting. Then click on Settings tab. 3. Under setting , click on change button just next to name field. 4. 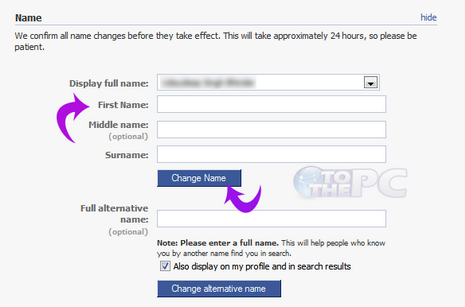 Enter your desired name to be displayed on your facebook account and click on Change name. After making desire changes, click “Change Name” button for save changes. Now your Facebook profile will display new display name as per changes.